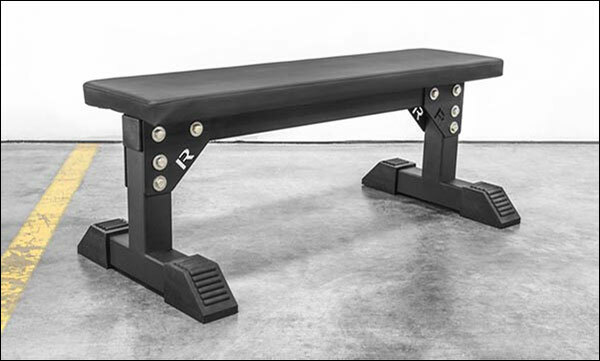 The Prime 3×3 Utility Bench is a relatively new Vulcan bench; it was released alongside the Prime Adjustable Bench only a couple months ago. I finally picked up the flat version of the Prime for a review, and this is that review. bolt-together frame is constructed of 3″ x 3″ box steel. bench is assembled using heavy-duty hardware and (8) thick gusset plates. steel components are laser cut and the hardware is finished in black zinc. the 2½” thick pad is 12″ wide, 43½” long, and distance from floor to top of pad is 17″. the padding is super dense, firm, and covered in premium, textured, non-slip vinyl. price is $189, with shipping included. * the Prime is currently on sale for $159. This review is written as though the bench is NOT on sale. Keep this $30 price difference in mind as you read this review, as it does make this bench even more appealing. The Vulcan Prime Bench is pretty standard in terms of its dimensions; at least for the most part. The pad is a typical 2½” thick, 12″ wide, and the height is great at 17″. A slightly less-than-typical dimension is the length of the pad; measuring in at just 43½”. The pad length is a bit shorter than the standard 47-48″ length found on IPF-spec’d benches but it’s not at all unheard of to have a pad in the mid-40’s. 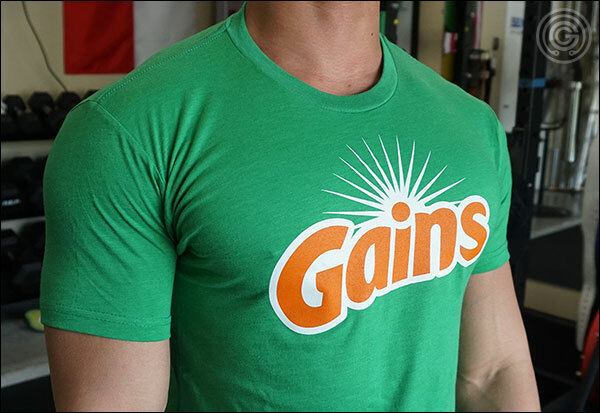 Only the tallest of lifters will even notice, and even then they probably won’t even care. 43½” is functionally long enough, after all. 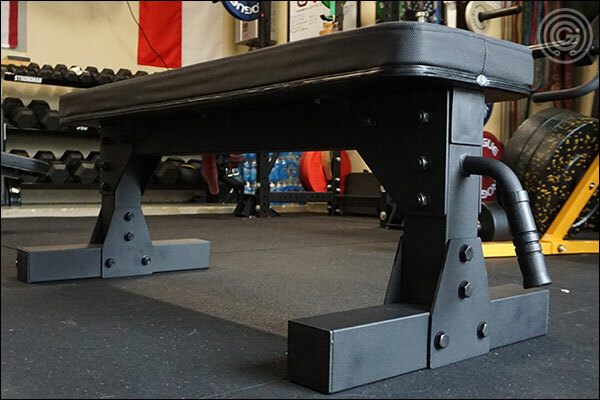 The benefit to the shorter pad is simply a more compact bench. The Prime takes up slightly less space, weighs a little bit less, and it can even store vertically on its end when not being used. The 17″ height of the pad is still where you want it, as is that 12″ width, so as long as you’re not super tall you aren’t missing out on anything by not going with a 48″ long bench. In addition to the strong, stable frame, the Vulcan Prime has an excellent pad; a pad with a very high-quality feel and finish. 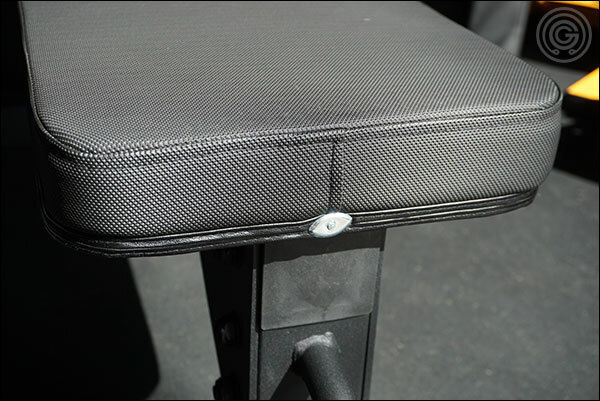 It’s very firm and supportive and it’s easy to tell that the fill material isn’t a cheap, soft foam like you’d find in a Titan or Wal-Mart bench. It’s very dense. 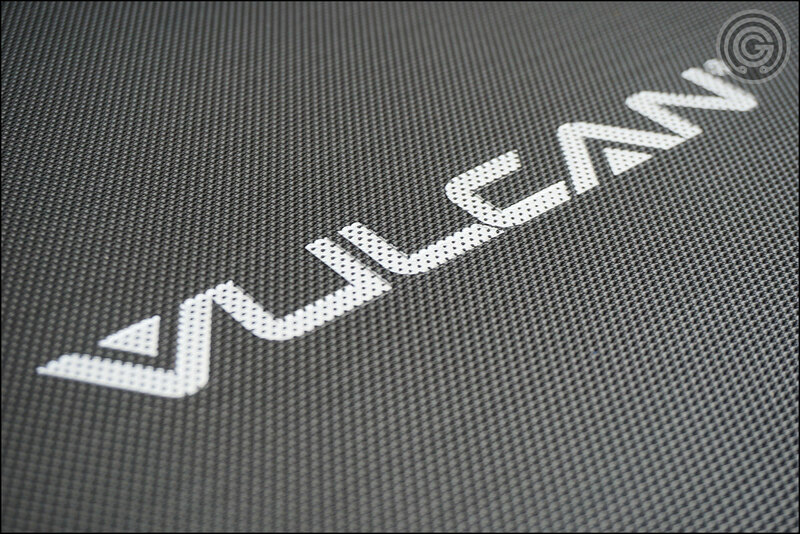 Better yet, Vulcan went with a textured vinyl cover; the sort of vinyl found on premium pads like the Thompson Fat Pad. This type of vinyl has thousands; if not millions; of small rubber nodules that prevent slipping and sliding on the pad. When benching, this vinyl really helps you dig those lats in and stay put throughout the entire set. Overall the pad is great. The density is perfect for a serious bench and the grippy vinyl is a very nice touch. Most of us have used a flat bench with this textured material by now and it really is hard to go back to the cheap, slick vinyl after that. 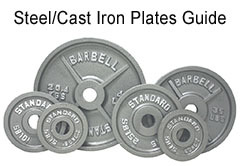 Strong 3″x3″ steel construction. 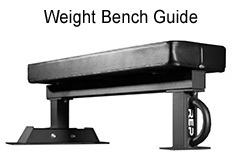 The Prime Bench has virtually no weight limitations. The 17″ height is right in that IPF sweet spot. Not too low, not too high. The wide 12″ pad is incredibly firm and is covered in textured, non-slip vinyl, much like the Thompson pads. 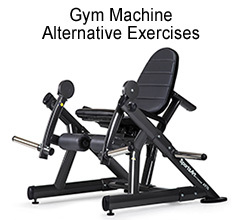 The bench is surprisingly lightweight and compact, and despite being light enough to pick up it does have wheels and a handle for easy transport around your gym. Shipping is part of the $189 price, meaning we can assume the bench retails for a fairly reasonable $150 or so. Assembly is quick. Instructions were easy to follow and basic tools were even included; though I suggest using your own ratchet and wrenches for a quicker assembly. Personally I find the use of black hardware to be a nice touch. The Prime Bench will stand securely on its end when not in use to save space. The bolt configuration for the pad is not compatible with other pads, though in fairness this only becomes an issue with the fat pads, and there are more appropriate frames for folks who are seeking a thick, over-sized pad. The pad is relatively short at 43.5″, not long enough to meet IPF specifications. 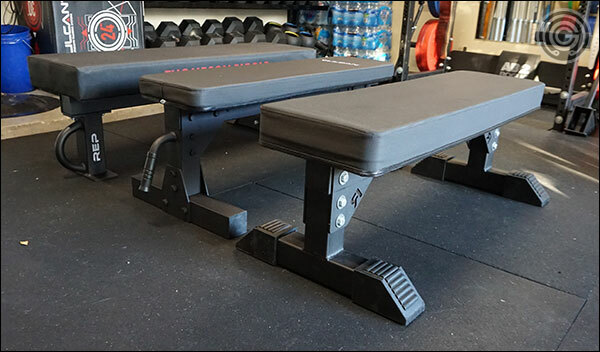 To me the Vulcan Prime Utility Bench strikes me as a more compact, light-weight version of the Monster Utility Bench; at least the Monster Bench with the standard (non-Fat) pad. The bolt-together frames are similar in design, they both have 2½” thick and 12″ wide pads, and there is only ½” difference in overall height. Despite these similarities there are also some differences. The Monster has non-slip rubber feet and the pad is 4″ longer but the cost is about $75 more before the shipping is added in. Also the Monster can accept the fat pads whereas the Vulcan cannot (though you’d have to buy a shorty frame to make that work, which of course locks you into a fat pad). 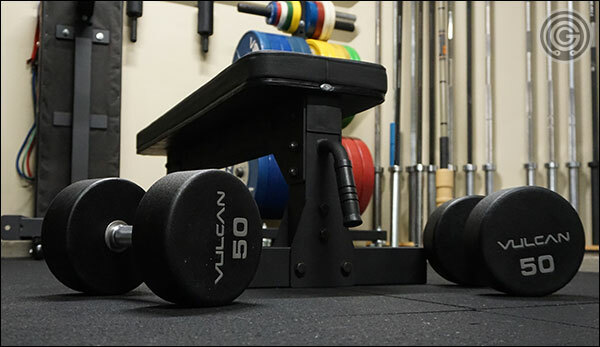 All that said the Vulcan Prime Bench has the advantage of being lighter, of having wheels and a handle, of having a textured, grippy vinyl cover, and of course being far less expensive. At the end of the day these two benches are probably more similar looking than functionally similar, but they both have their place. Clearly the price of the Vulcan Prime is friendlier to the wallet though at $189 shipped versus $265 pre-shipping. So should you buy the Prime over any of these three other benches? Well the Rogue Utility Bench 2.0 doesn’t have a grippy pad but it still has a nice pad; a very dense pad. The 2.0 will cost you $20-25 more delivered but you’ll get a few extra inches on the overall length of the pad, but you won’t get wheels. If you want something compact and mobile then the Vulcan would be the way to go, but if you need that full 48″ length well then maybe not. The FB-5000 is stiff competition for any bench, including the Vulcan Prime. At just about the same price delivered, the FB-5000 is designed exclusively for the thick, wide pads while the Vulcan has a standard-sized pad. They both have grippy vinyl, they both have wheels and a handle, and they are both fine benches. If a fat pad is what you want then Rep is the way to go. If you want a more standard-sized pad on a compact, light frame then it’s the Vulcan. 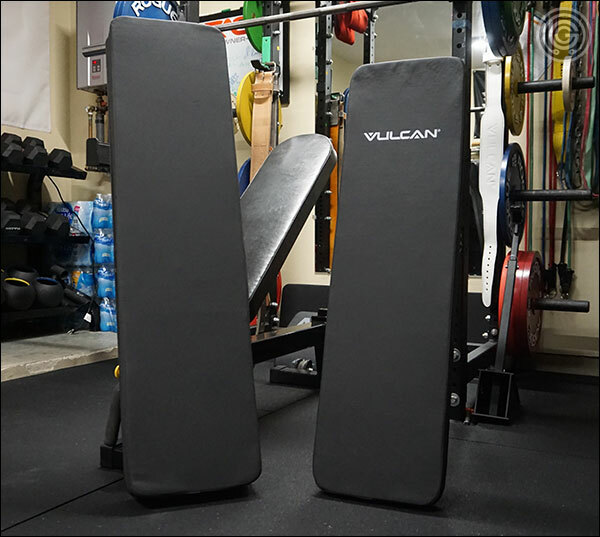 The pad on the left is 12″x48″ while the Vulcan Prime pad is 12″x43½”. It’s not a huge difference but it is different. 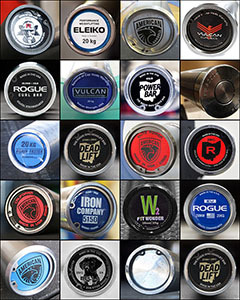 In terms of the Rogue Monster I discussed the differences in the above section, but suffice it to say that I do not think that the Monster is a good value these days at $265-$295 before shipping when benches like the Rep FB-5000, Vulcan Prime, and even Rogue’s own Utility Bench 2.0 are available for much less; that is unless you specifically want a shorty Monster with a Thompson Pad and are willing to spend that premium $295 + shipping price for it. The Vulcan 3×3 Prime is a solid contender, but it definitely has competition right now. Even Vulcan’s own 3×3 Utility Bench should be considered alongside these other manufacturer’s benches. 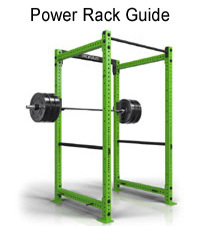 I believe the Prime has its place in the market and I think the price is very fair, but I think that it’s only an auto-buy if you’re specifically looking for a lighter weight or compact bench. Like I said though, the Prime is definitely a contender and it should be considered. Thanks for another useful review. 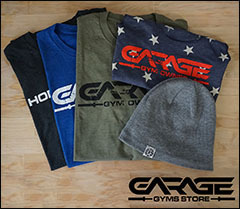 Hoping you’ll test that adjustable for which you posted the factory teaser recently, and ideally also the Edge Fitness Transformer. You know, that Edge bench is interesting. Two issues I have with reviewing it. First it’s super expensive. Second, I do so loathe equipment with a bunch of accessories and components that I have to store, and that bench has a lot of parts that detach. 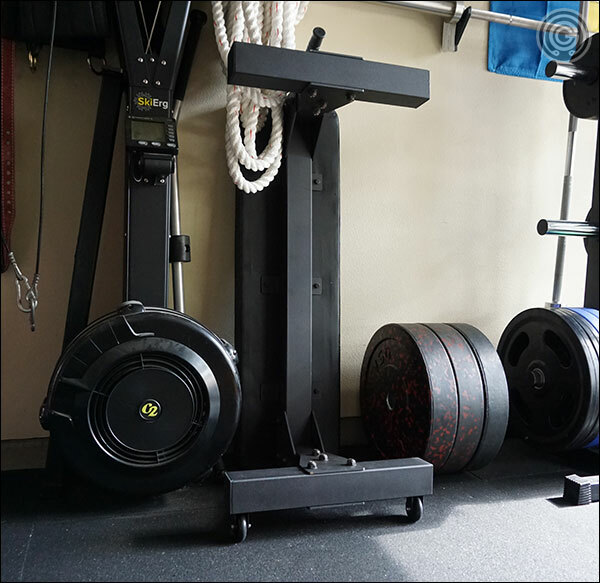 We’ll see though – I’m going to review the new Rep Adjustable and that bench at that price may very well be the solution to a lot of problems when it comes to incline benches; their cost, and the necessity to also have a flat bench. We shall see! Whew. I was sweating this review since I just bought the Rep FB5000. This would have been a good contender but I probably still would have gone with the Rep. I appreciate your reviews. It really makes buying equipment a lot easier. The bench is great, exactly what I was looking for.